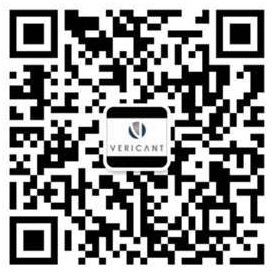 Receive SEE feedback directly from Vericant. 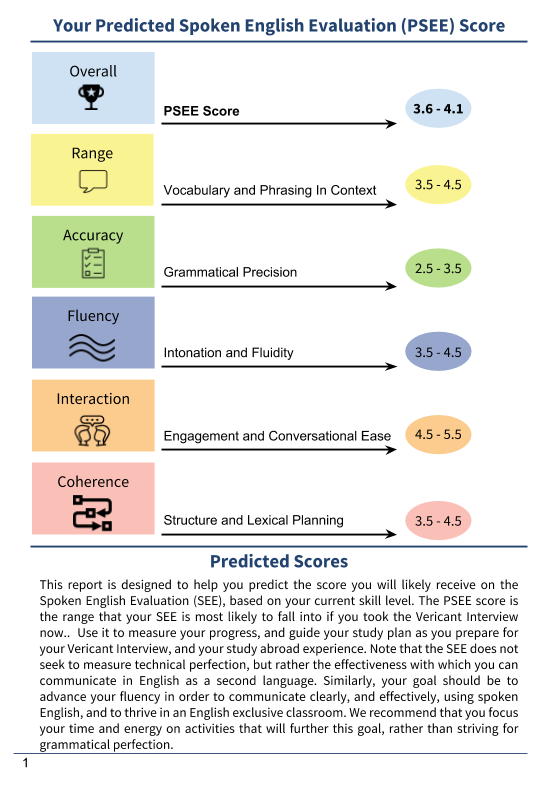 Learn more about your Vericant Pre-Interview score and where to focus your spoken English studies. What is the Vericant SEE Diagnostic (SEED) Report? The SEED (Spoken English Evaluation & Diagnostic) Report is a comprehensive report about your performance during a Vericant Pre-Interview. 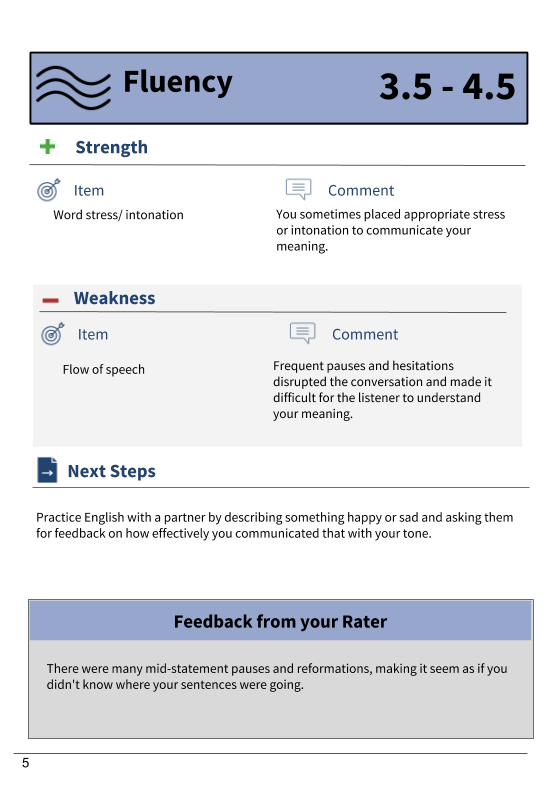 It includes a breakdown of how you did in each of the five categories of our rubric and professional feedback on the strengths and weaknesses you displayed during the interview. See your performance for each category of the PSEE, not just the overall score. Use it to help focus on the areas that need the most improvement. Receive information on your strengths and weaknesses in all five categories, useful tips on how to improve based on your current level, and real custom feedback from a member of the Vericant assessment team. Get an in-depth look at your Range and Accuracy score with analysis of your specific mistakes, suggestions for how to improve them, and where to focus your studies in these categories. Know all of this and more for only 880 RMB! Go to Student Dashboard to purchase! Note: By default SEED Report is delivered as a PDF electronically. If you would like it printed and shipped to you, please contact schedule@vericant.com after purchasing. Why get the SEED Report? 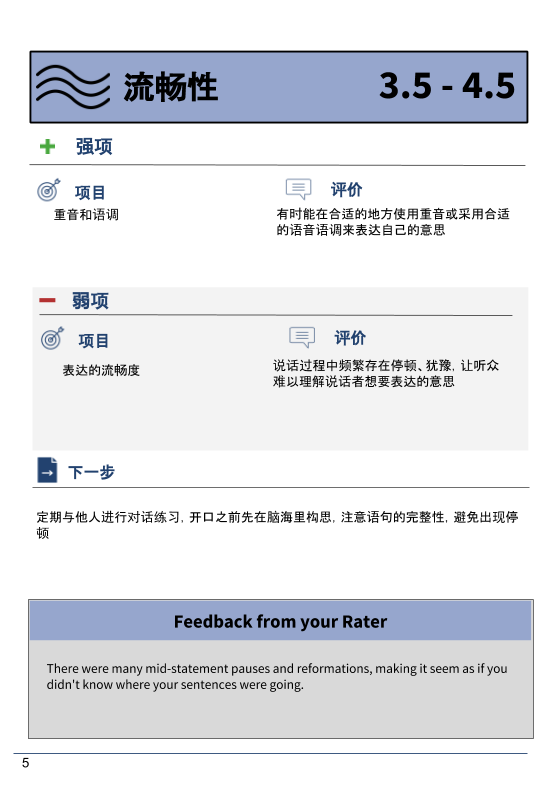 The diagnostic report is fully bi-lingual (English and Chinese) allowing it to be accessible to students, parents, teachers, and consultants. 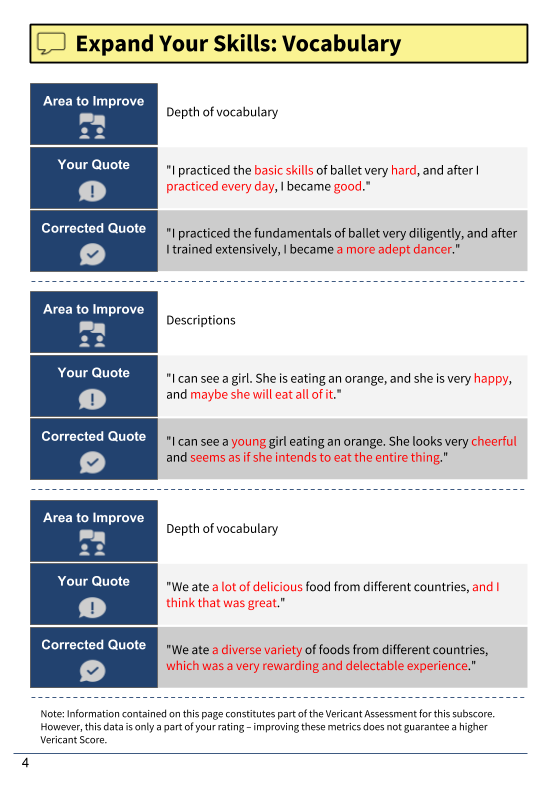 Receive feedback about what you can work on to improve your English communication skills. How do I Purchase SEED? When will I receive my SEED Report? 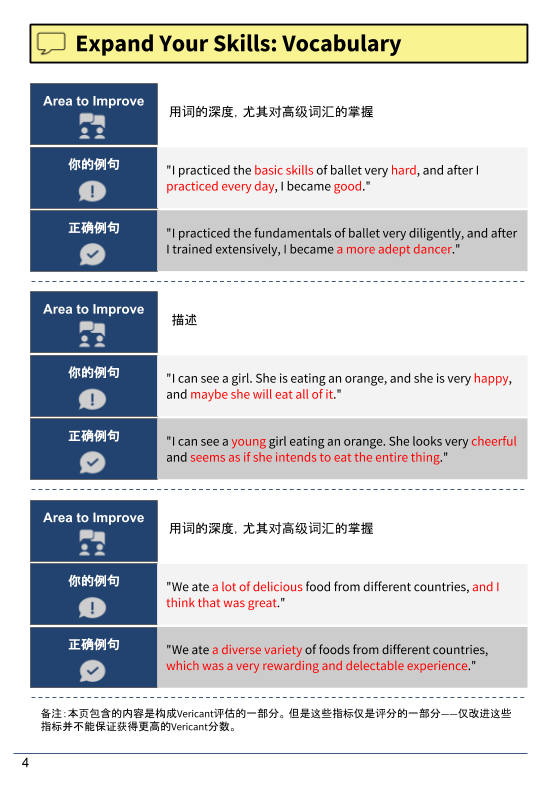 The SEED Report is available for purchase for only 880 RMB. It is an add-on to your Vericant Pre-Interview and can be purchased anytime, before or after your Vericant Pre-Interview. The booklet will be delivered as a PDF file to your student dashboard 5 working days after your PSEE report is delivered. If the SEED booklet is purchased after the PSEE report is delivered, the SEED booklet will be delivered 5 working days after purchase date. To receive your booklet faster, you can upgrade to fast delivery for both your PSEE score and your SEED report. The SEED Report is a great way for you to help your students get the most from their VPI experience. 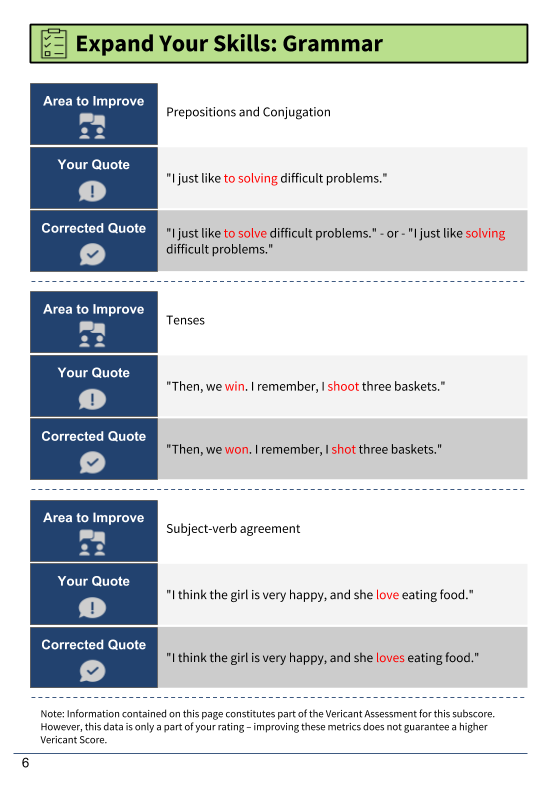 It not only includes personalized feedback on their performance, but also has helpful tips for each of the five categories of the SEE rubric. If you are unsure of the meaning of any of the feedback please don’t hesitate to reach out to us by email at schedule@vericant.com. The Vericant SEED Report helped me understand my current English level, and made me feel more confident going into the Vericant Interview. The Vericant SEED booklet was a good reference that helped us understand what shortcomings our child had and what they should continue to work on. The SEED Report helped me feel better about my child’s application preparation. It was a good guide to what we should focus on before my student goes to on campus interviews next fall. It is easy to understand the English and Chinese together.